Hippity hoppity, Easter’s on it’s way! It’s time to put up your Easter decor, plan Easter dinner and think about how you can make your Easter eggs memorable. 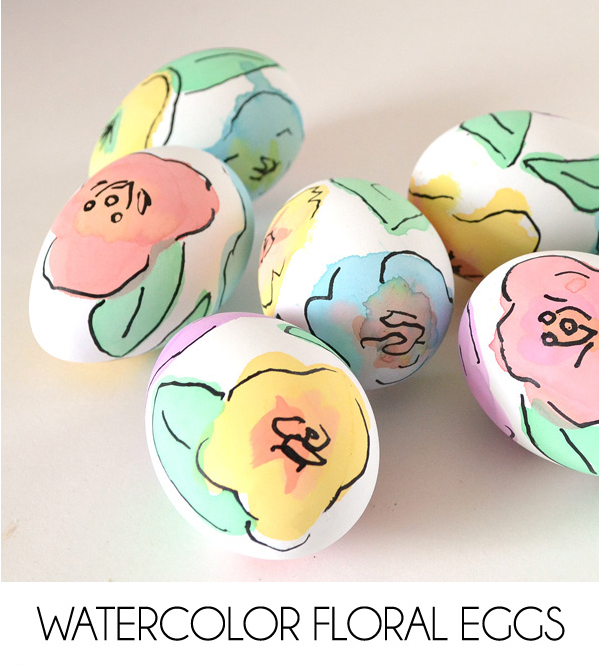 No one will scoff at traditionally dyed eggs, but there are dozens of ways to make them a little more original. 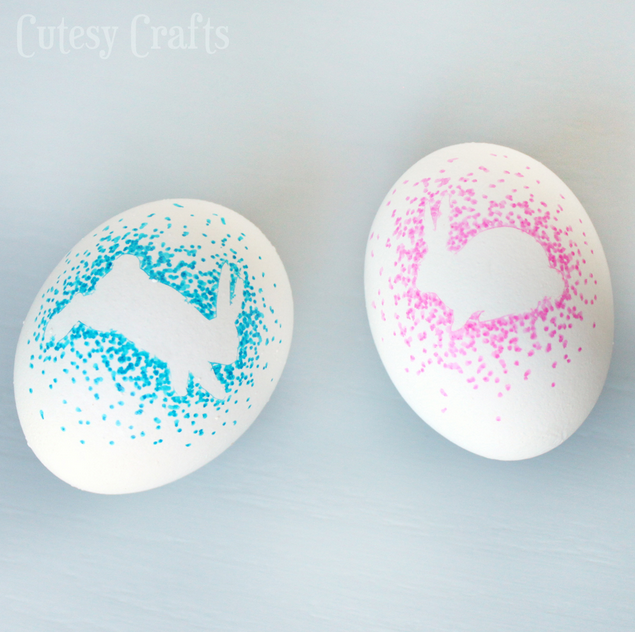 Here are a few of our favorite ways to make Easter eggs unique. Decorating for Beginners You don’t have to decorate real eggs to have a belly-tickling result! 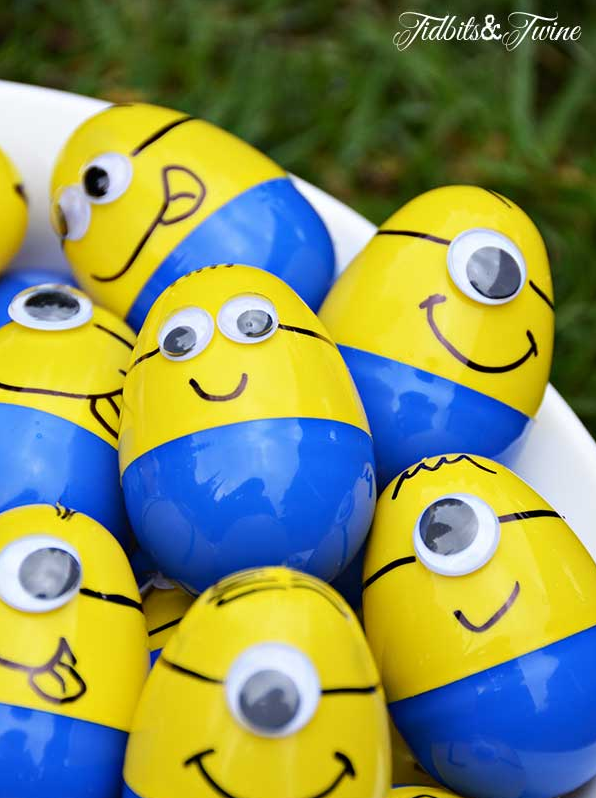 These minions were created by Tidbits & Twine for a Despicable Me-themed birthday party, but we thought they were too fun not to include them in our Easter baskets! All they are, are hollow plastic eggs with the tops and bottoms mixed up in yellow and blue with googly eyes glued on and embellished with a black marker. They’re adorable and perfect for holding Easter candies. Cottontail Contours Speaking of markers and “easy,” Cutesy Crafts boils down egg decorating to a sticker and a few dots. It’s such a simple idea — even tiny hands can create works of art with this method. Just stick the bunny sticker on an egg and start dabbing around the edges of the sticker until you have dense constellations of dots. When the ink is dry, just peel off the sticker and you have delightful bunny silhouettes with almost no mess! 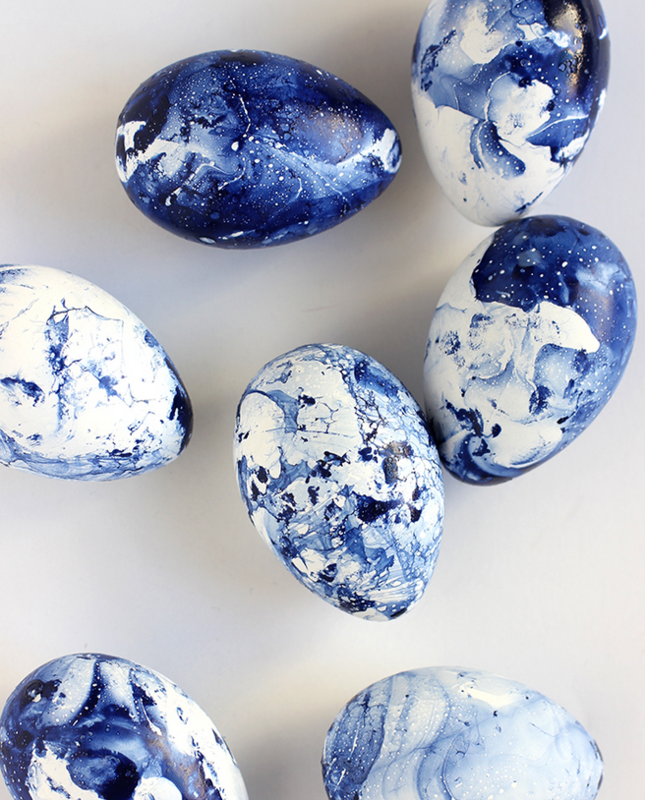 Little Blue Marbles Here’s a project for more mature Easter egg dyers: marbled indigo eggs. Alice and Lois did a fabulous step-by-step on how to turn plain old white eggs into marbled eggs of glory using only water and fingernail polish! As a warning, rubber gloves are suggested as this method can get quite messy. O’Keefe Ovum Here are eggs worthy of a spot on the mantle! Dream a Little Bigger made these eggs. They may take a little more time and concentration, but the result is something even Georgia O’Keefe might envy. These require a few drops of food coloring, paintbrushes and a thin black marker if you want to add the fancy outlines (but they still look cute without the outlines). This is your chance (or your kids’!) to get really creative with your eggs! Elsa Eggs We saved the most complicated for last. A Pumpkin and a Princess came up with these eggs fit for a princess — they aredefinitely not for the crafting-faint-of-heart! 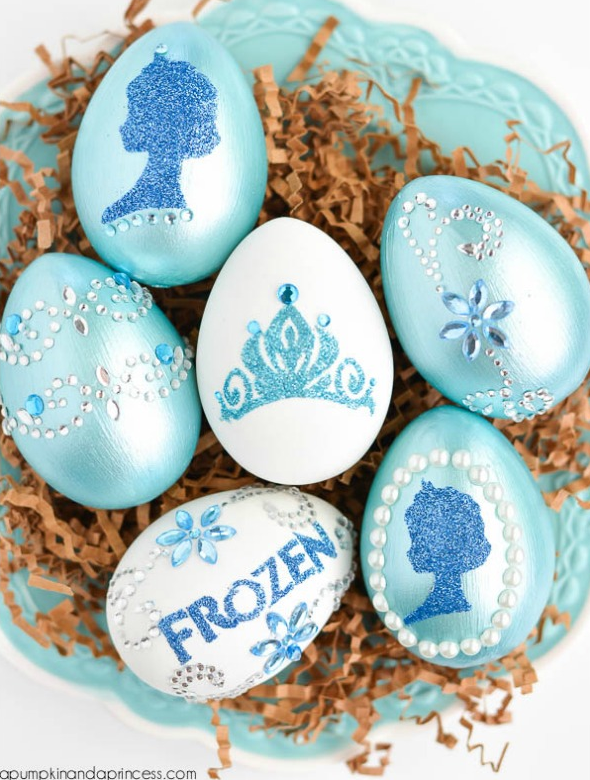 Pearl paint, glitter, rhinestones and a lot of patience is what you need to create your own Frozen egg masterpiece. Though it’s a big undertaking, everyone can agree the effort put forth is worth it for all the oooooohs and awwwws. 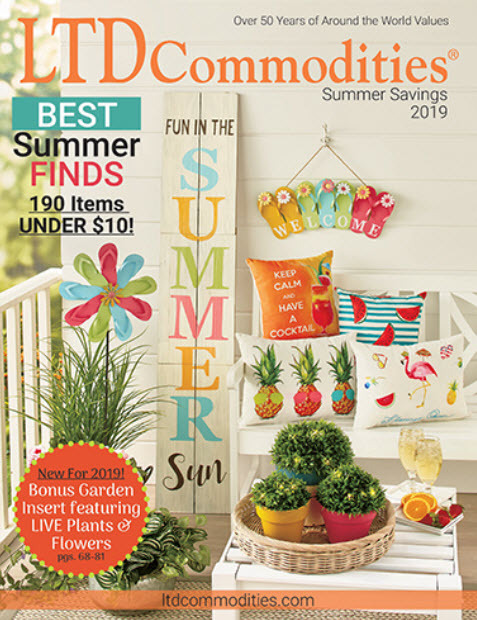 LTD Commodities has ideas and products to make every holiday magical! Whether you need ideas for dying awesome eggs for Easter or you’re looking for unique 4th of July decor, look to LTD to make all your holidays sparkle.